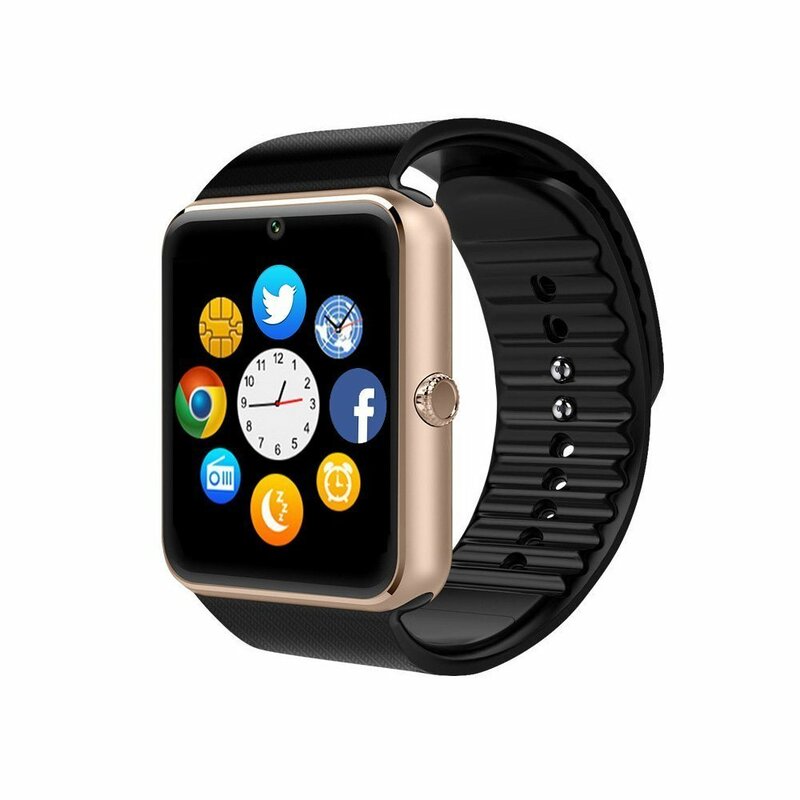 This watch is compatible with Android System (full function support) and IOS System Also it is designed to work with iPhone as well, but at this point the Message notification, Remote Camera, Anti-lost are not available. 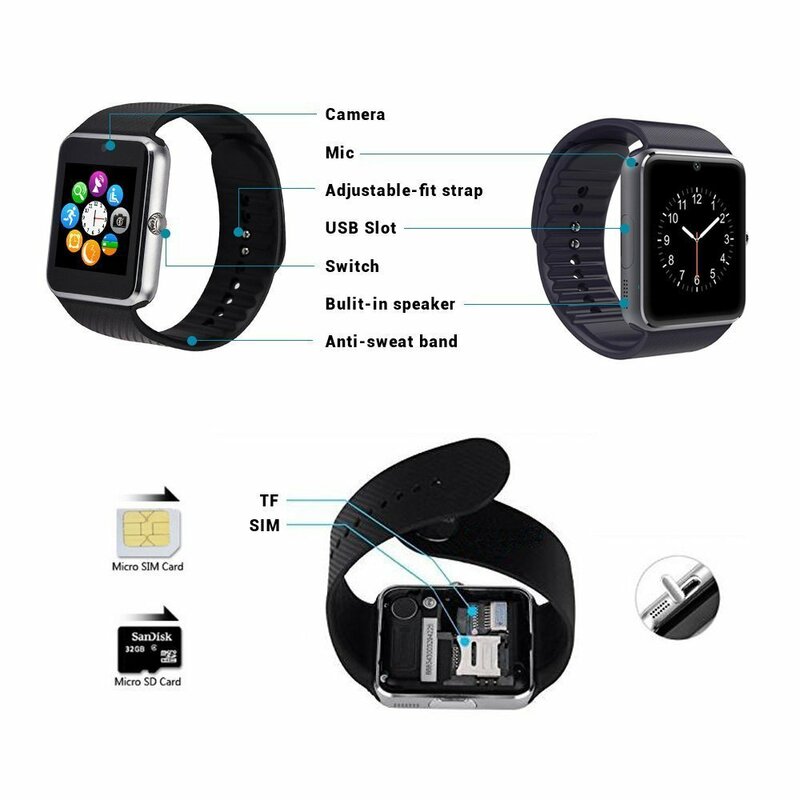 Main Functions: It becomes a Smart Cell Phone when you put SIM card and TF card in this watch. 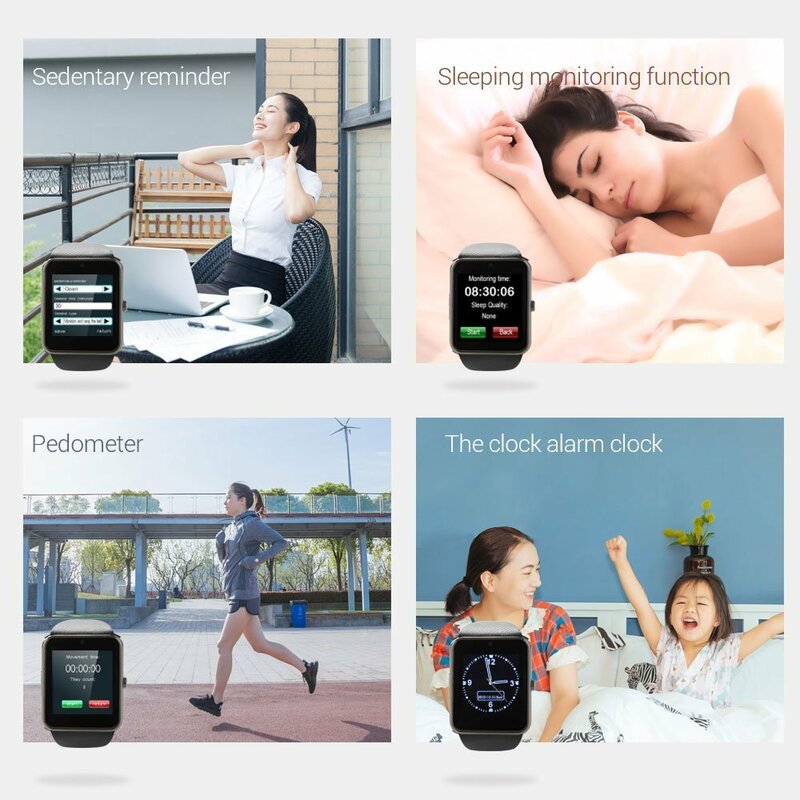 This watch also have Pedometer, alarm clock, sleep monitor, sedentary reminder , calendar, calculator, voice recorder, MP3, multi time zone, multi-language choices, daylight saving time, Phone Book and mainly SMS capability. 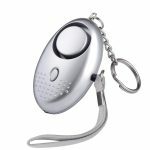 Notification, Message Plush, Remote Camera but does not fit for iPhone iOS. 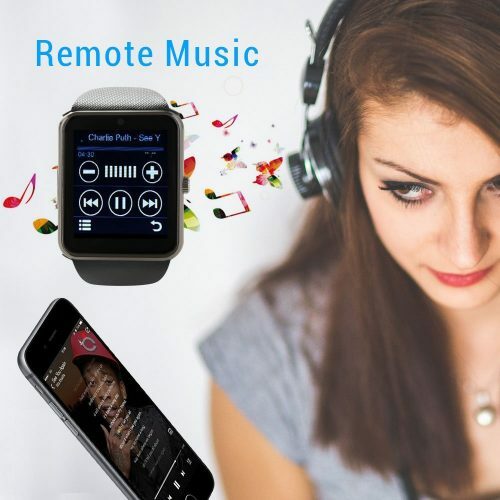 Entertainment Anytime and Anywhere: Built-in speaker and mic, Make/Receive calls directly from your wristwatch through Bluetooth or insert SIM Card as a Normal cellphone. Capacitive full-color display with three stylish watch faces and an adjustable band perfectly paired with 1.54-inch smooth touch screen for your easy operation.